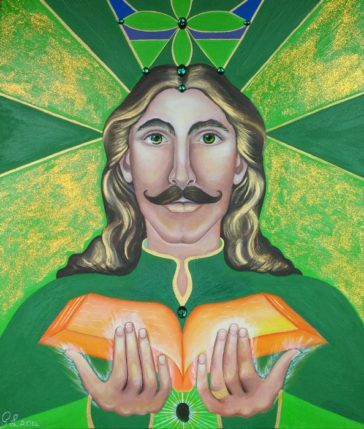 This canvas print of the original painting of Lord Melchizedek shows his radiant light of source. 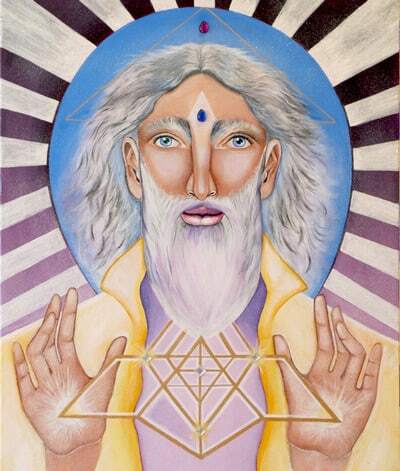 His hands of great healing bring forth the Merkaba body of light, through the ancient geometry. He activates the light of Mastery within you. 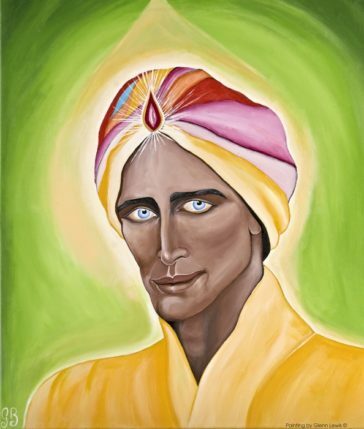 Lord Melchizedek performed the great Light Teachings to initiates, to hold their light for the glorious-ness of God’s Love. 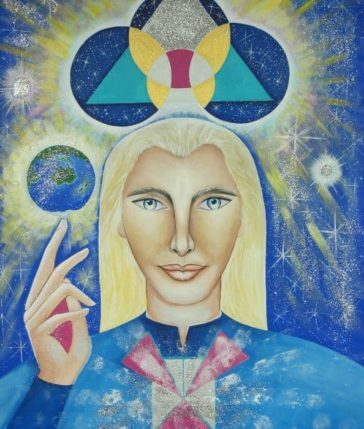 Therefore many beings have been reincarnated that hold the keys of the order of Melchizedek, including the ancient geometry that was embodied into the cells of those to enlighten with these teachings.